There’s only one thing in life most chefs love as much as food – booze. Putting the two together? Ahh, well that’s just wonderful. What many people don’t realise about boozy food is that it’s not there to get the dinner guests even more drunk. 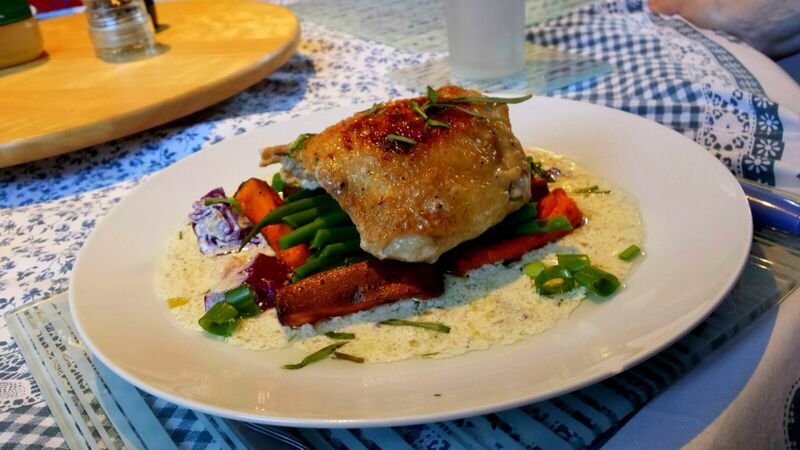 Instead it offers a deep hearty richness to the food, owing to its high flavour profile yet low sugar content. This dish uses two alcoholic beverages – wine for a concentrated fruity acidity against the cream, vodka for that subtle back-of-the-tongue harshness. 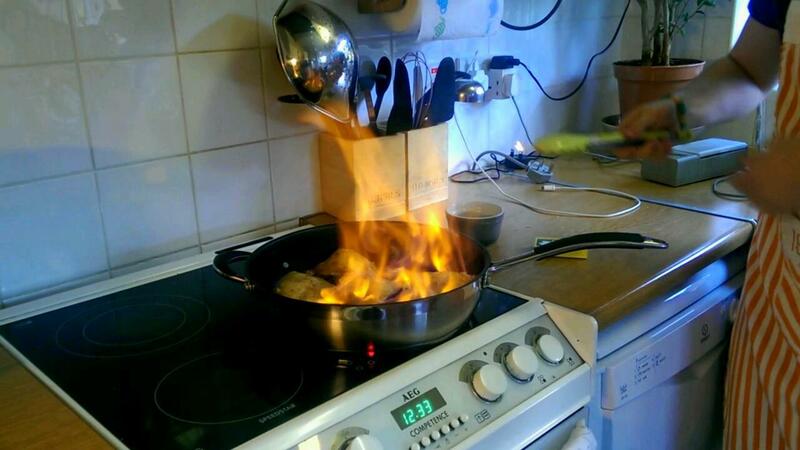 By igniting the fumes you prevent the dish from being too overwhelmed by the amount of alcohol in the dish while also nicely sealing the meat. 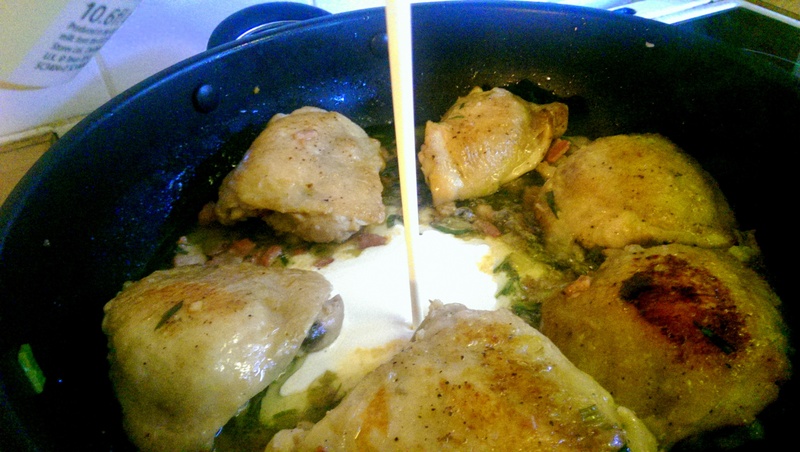 As always adapt the dish to your liking – for 6 thighs I used around half a cup each of wine and vodka and a full cup of single cream. Use double cream or a greater amount of wine for more decadence of course, and by all means throw in a few more vegetables. 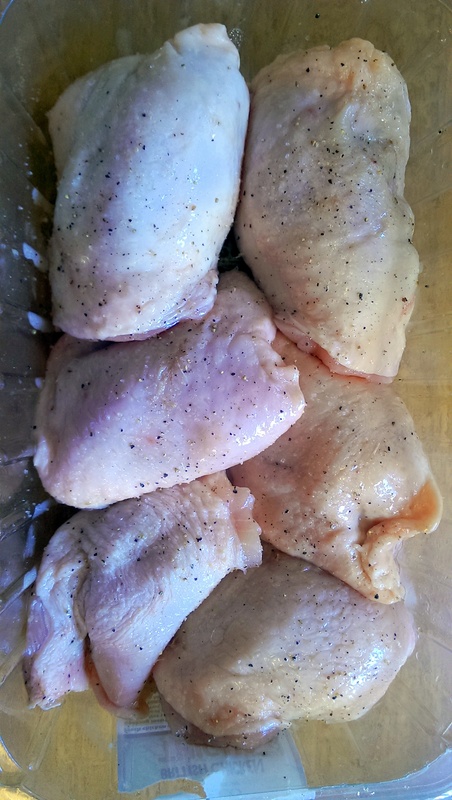 The reason I use chicken thighs instead of breasts is that breasts can be more susceptible to drying out over the cooking process. Season the chicken and toss in a little oil. If you can do this step earlier in the day the salt will help break down the proteins and make the meat more tender. Heat some more oil in a wide, deep pan. 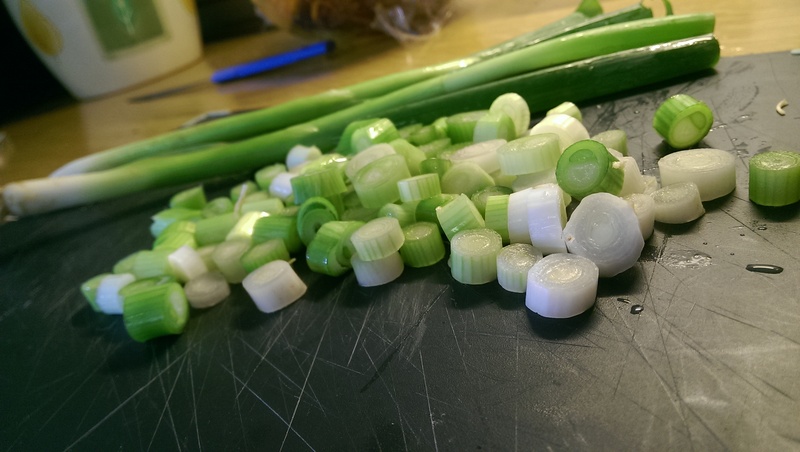 When it’s hot enough that a piece of onion sizzles upon contact, add the chicken skin down (if it has skin) and allow to cook undisturbed until the skin is beginning to crisp and brown (around 7 minutes maybe). Slice the onions and pancetta into small pieces and add to the hot pan, turning over the chicken so it cooks underneath. After another few minutes – add the vodka. Using a long match/lit spaghetti/match held in tongs quickly ignite the vodka fumes. Don’t worry about extinguishing the flames – they will die down after a minute or so. 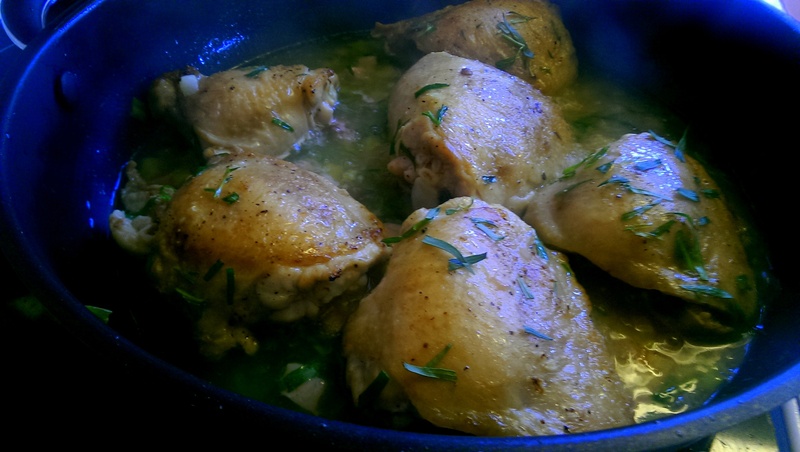 When the flames are gone add the white wine and chopped tarragon and cook on a gentle simmer for a while longer until the chicken has cooked through. If you are unsure, slice into the thickest part of the largest piece and make sure it is not pink and soft. Reduce the heat further and add the cream then stir through. I ended up removing the chicken to a bowl and mixing gently with a whisk so that the liquids combined. 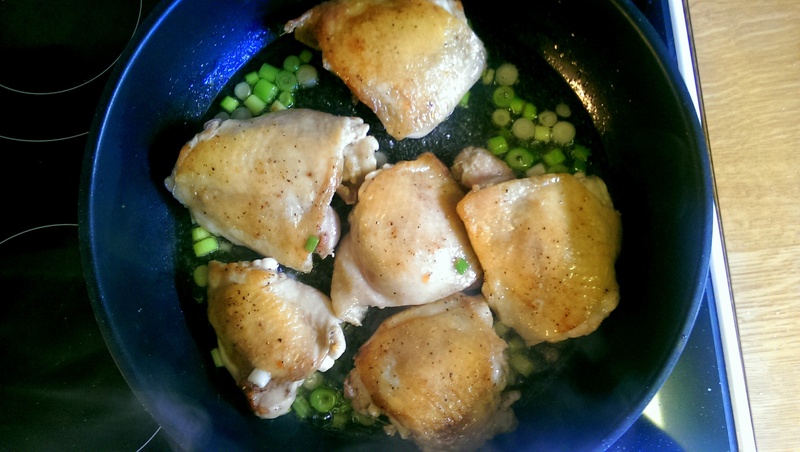 Taste and season accordingly – I usually wait until this stage to add the mustard. A single teaspoon was plenty in this dish – it’s very much a background flavour. Allow the sauce a couple of minutes off the heat to thicken slightly, then serve. I serve stacked on top of homemade Sweet Potato Chips and Green Beans, with garnishes of Red Cabbage, Green Spring Onion tops and Fresh Tarragon. 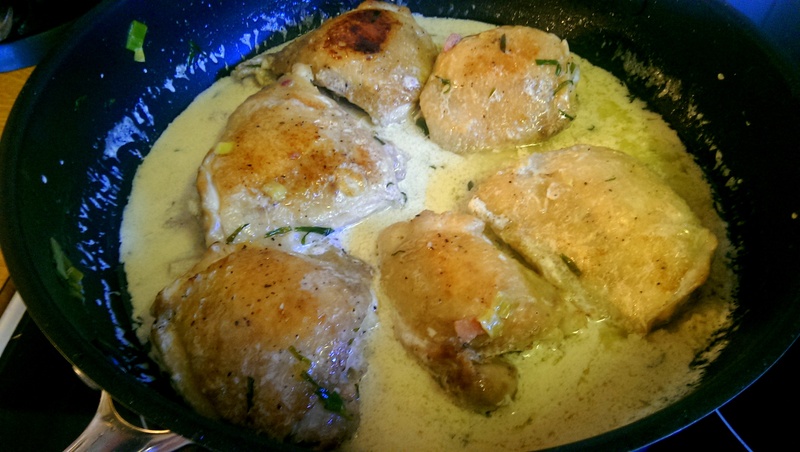 Posted in Guesscipes, Mains, One Pot, PoultryTagged chicken, cream, flambe, gourmet, guesscipe, mustard, recipe, tarragon, vodka, wineBookmark the permalink.